After a few days of revisiting some anchorages we liked and exploring new ones, we returned to Bozburun to get organized for upcoming boat projects. 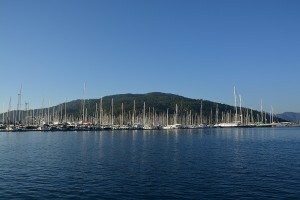 It was a good spot to have the boat while we made arrangements with vendors in Marmaris and scheduled work. 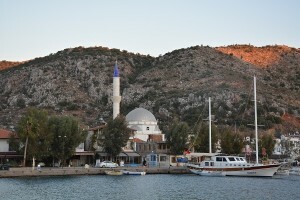 In Bozburun we kept the boat at the town quay once again with the ease of the bus to Marmaris picking us up almost at the boat as it went by. 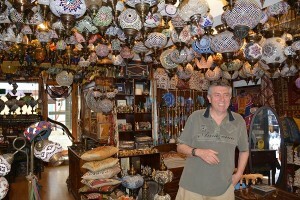 Our friend Ali owns Le Shop, in our opinion the nicest shop in the Bazaar. Ali and his brother, September, are very welcoming. We have bought a lot of things from them and are enjoying them on the boat. When we eventually have a land based home again, they will be a great reminder of our wonderful time in Turkey. We have collected unique spice boxes, most about 70 years old, used by nomads to carry their spices as they moved with their families, tents and livestock between the mountains and the plains of Turkey in the changing seasons. 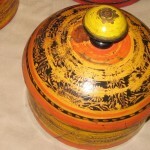 They are wooden and hand painted, some with inlaid pieces of metal. 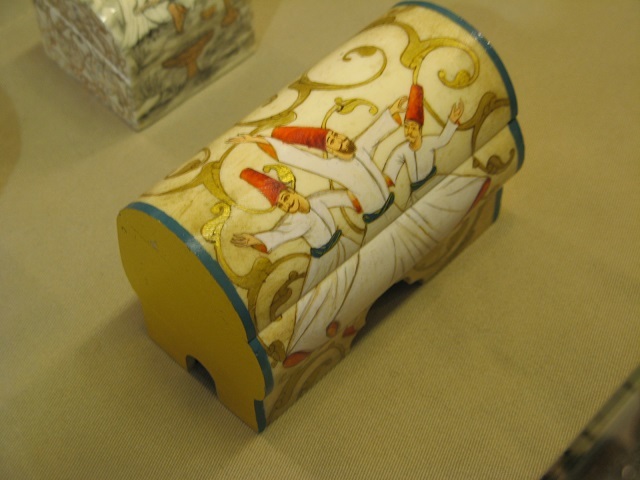 We also have two camel bone boxes. 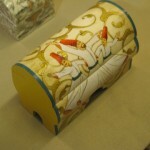 They are hand carved with small storage areas in them and are hand painted, mostly by art students. The detail is amazing. 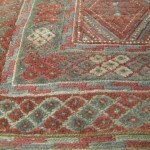 We also broke down and added another rug to our collection, certainly not that we needed one, but it was so unusual. This rug is a “berceste” rug (pronounced berjeste). Unlike a Persian rug that has all tied knots or a kilim that is woven, the berceste is a combination of the two, which gives it a beautiful visual texture. 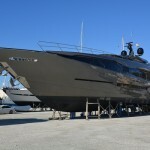 It is really too wide for the salon on the boat but, agreeing that we both love the rug, it is laid folded lengthwise, and we are enjoying in now rather than waiting for a home on land. The outcome of the US election was our worst fear. As a US flagged boat in Turkish waters with an Islamophobe president elect we felt at risk for any anti-American backlash. 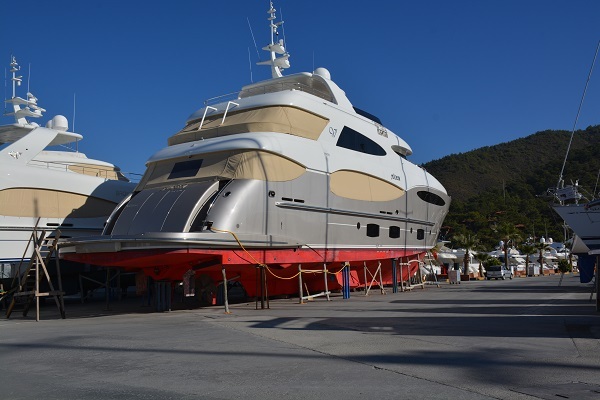 To minimize our risk and embarrassment we decided to forgo our plans of cruising the Turkish coast and go into a secured marina in Marmaris. We were not alone in our sentiments. 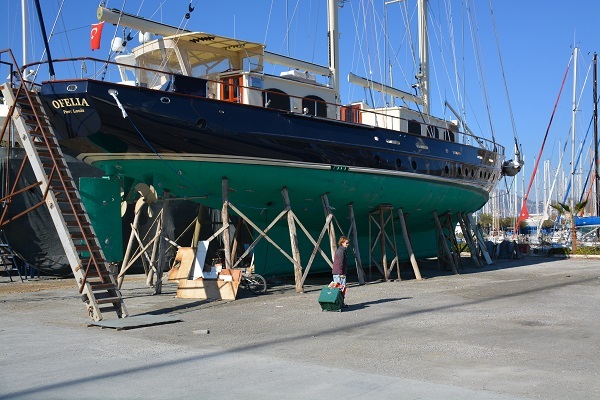 Back in Marmaris and checked in to Yacht Marine for the rest of the year. 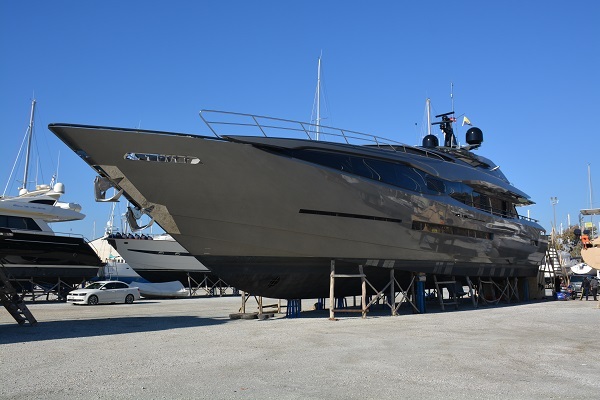 Yacht Marine is the largest marina in the Mediterranean and owing to its access to parts and servicers, and its affordability it has attracted yachts large and small. Some of the large yachts there were remarkable. 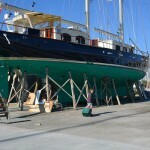 Marmaris remains our best spot for acquiring boat parts and repair services. We have been able to find most parts we need and to have some custom stainless parts made at reasonable prices. It has been unfortunate to hear many vendors tell us their business is way off because so many cruisers have left Turkey. Given the current political challenges in Turkey it is no surprise—something we can now relate to as Americans. Unfortunately, we do not see the tourism environment getting better any time soon as long as Erdogan is in office. We remain cautiously optimistic that the US and Turkey will see better days in the future. This entry was posted in 2016 Turkey / Greece Cruise, BLOG, Turkey - Bozburun, Turkey - Marmaris. Bookmark the permalink.